Anybody else spinning with me? It’s hard to be honest about that spinning, because frankly, life works better when spinning is at a minimum, and balance reigns. What do I mean by spinning? I mean this: to sit at my computer (surrounded by an office of books on Christian faith, creativity, writing, theatre, poetry, media criticism, the Civil War, and the history of the Arthur legends, not to mention novels and plays), or pick up my iPad, or swipe my iPhone open, is to spin. “What do I do now?” I ask. Check my email, check notifications for Facebook, wondering if I can think of something interesting, clever, or worthwhile to post, wondering if I should post it now, or just Buffer it. Hmmm…should I move to Twitter, Pinterest, or Tumblr, but then there’s Trapit, which does a great job of capturing content. In my “racism” trap, there are now over 250 articles from pretty obscure parts of the internet, the aggregation of which gives me a pretty interesting and nuanced look at that conversation. What would be better, of course, would be if I could actually synthesize that much information. And I have about ten traps going, each delivering the same rich cauldron of content. I should write a poem about it…it being…what? Who knows, but I swing over to my VoodooPad app (it’s a Wiki sort of thing), where I keep my tetrameter musings, and I spit out 40 lines in about ten minutes, read back through some older stuff (over 250,000 words now in that document), and wonder if there’s been anything in the past thirty days or so that might be worth culling out, and posting in my poetry file. Which makes me think of my mother’s cancer, and being in Texas for nearly six weeks, and the spinning gets faster, because Mom, Texas, cancer, and time passing open doors and doors of new perspectives, ruminations, and potential blog posts. I haven’t posted anything on my blog since April. I stopped for breakfast, and now, I think, what next? I took out the trash at 6:30 a.m., and then sat down with the morning reading. Now I’m wondering if I should spill the beans now about my reading, or if I should save it for Cyrus, my character in the novel Leaving Ruin. Write a new novel, and let him confess my sins. Truth is, I start with Islam. Having read the Quran, I am now plowing through collections of hadith. Then it’s off to Buddhism—Zen for Americans, by Soyen Shaku; Manual of Zen Buddhism, by D.T. Suzuki; The Gospel of Buddha, by Paul Carus. I’m trying to get through the Analects of Confucius, but it’s the roughest going since The Book of Mormon (not the musical, the actual book), which I read a few months back. Note: Confucius and Joseph Smith are confusing for vastly different reasons. Anyway, then I roll back over to the Tao Te Ching, and finally land in The Bible, readings from Psalms, the Prophets, Paul, and finally, the red-letter stuff, the gospels of the Christ. This morning, Jesus said to do things in secret. I should just be quiet. Then I pray. Or something like that. 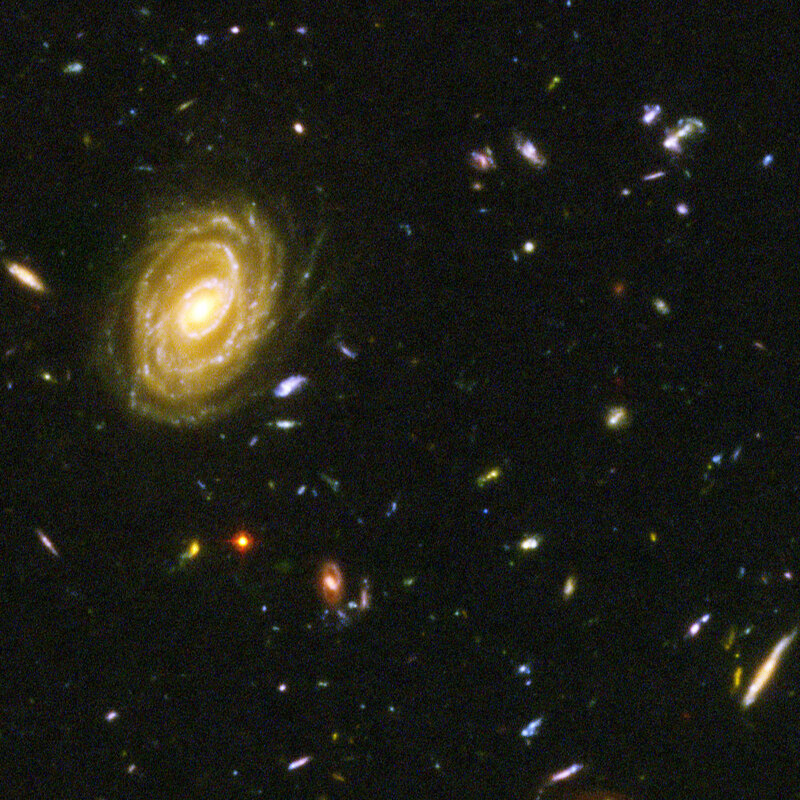 In Jesus name, I reflect on the far edges of the Hubble Ultra-deep field, and think about the millions of years light’s been traveling toward us. Then my right eye starts twitching, and I’m reminded that my body doesn’t cooperate as well as it used to, and time is passing. (My mom’s cancer again.) And God grows, gets bigger, and somewhere out past where His wrath drops away, I imagine Him and me talking about some of my more spectacular heresies, and by this time, my grocery list of what I need from Him gets lost, and we just sit and stare into the dark of the morning together, often laughing out loud. Sometimes I write my mediations of God. I vowed once that I’d never publish them. Not for public consumption. Sometimes I think He nudges me and gestures, “Go ahead.” Or is that the gesture of the other guy, the guy with the red fork? No doubt there are those who can discern which is which. Sometimes something along the way nudges me, and I think…music. A song is needed. I pick up the Larivée guitar next to me and write a chorus, a verse, a something, then practice my scales and a few blues licks and put it back down. A notebook of songs lies in the living room, mostly about God, questions, my sweet wife, and Christmas. What was I talking about? Oh, yeah…spinning. I spend an hour rehearsing slam poetry. Why? I don’t know. I have an intuition that an opportunity to speak is coming. Have no idea to whom or to what purpose, but I’m working, getting ready. There’s the final scene of my third Arthur play—Arthur: The Wars. In the wings is an eighth draft of Lost Cause (Civil War play, sort of), a new draft of Hunting Grace (the second Cyrus novel), and a children’s poem about a little boy and a gray cloud. The cloud wears a bowler hat. I’ve said nothing yet about the fact that I’m probably happiest these days with a camera in my hand. I’ll let that pass. Enough. I won’t bother you with Breaking Bad, or Positive Psychology, or regret, or Italy, or whatever else. Enough. What do I want from you, O reader? What am I trying to say? What story am I telling just now? What’s up with this particular voice? Just this: I’m standing here spinning. I didn’t think of it that way before reading this, but yes, I believe I spin quite a bit! Thank you for your willingness to share your thoughts. I always enjoy your musings and usually relate to them.